How do you see the SPX closing for the month of December 2018? Poll closed Dec 3, 2018. Congrats to @rStock the November 2018 Contest Winner! On to the next! 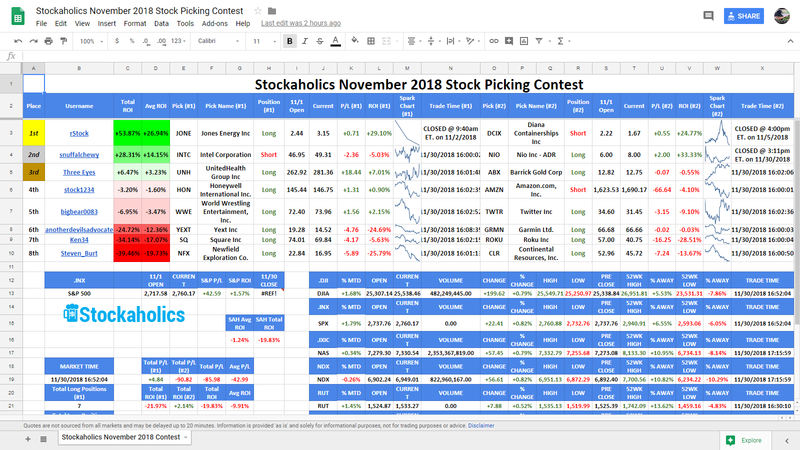 The December 2018 Stock Picking Contest starts at the opening bell on Monday, December 3rd, 2018. Remember...the contest starts at the opening bell on Monday, December 3rd! 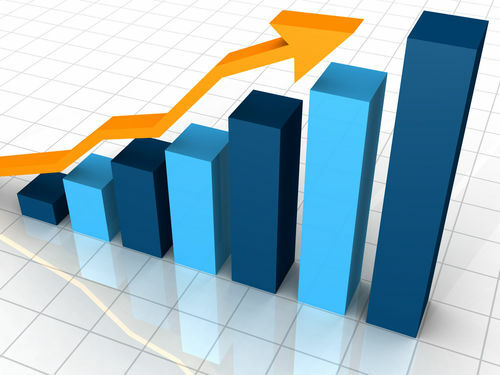 How does Stockaholics see the outcome of the S&P for the month of December? Stockaholics wins the monthly poll tally for November! Credit goes to the UP votes! Congratulations to our November 2018 contest winner and 2nd time winner of the monthly contest (2nd time winner in Q4!) @rStock! Some worthy mentions also goes out to our 2nd place winner @snuffalchewy and 3rd place winner @Three Eyes! 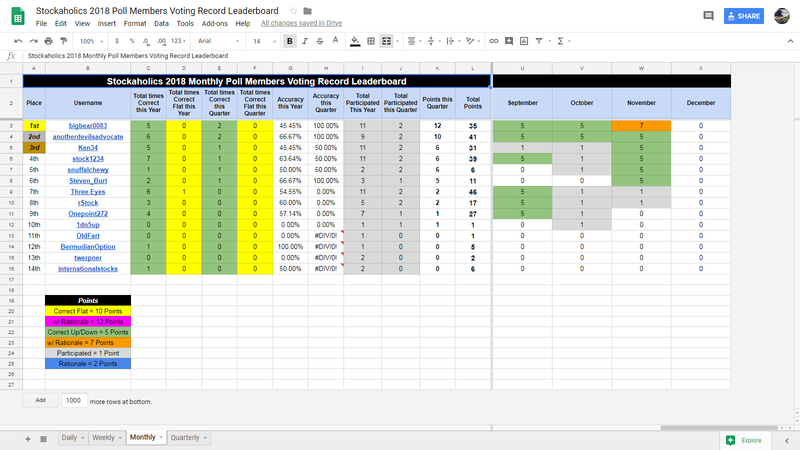 @rStock is still our current leader this quarter with a total of 30 points! @bigbear0083 is our current leader with a total 12 points this quarter! Whelp, that is a wrap from me this month ... GLTA in the new month ahead! and I hope you all have an awesome trading month of September! Cheers y'alls! 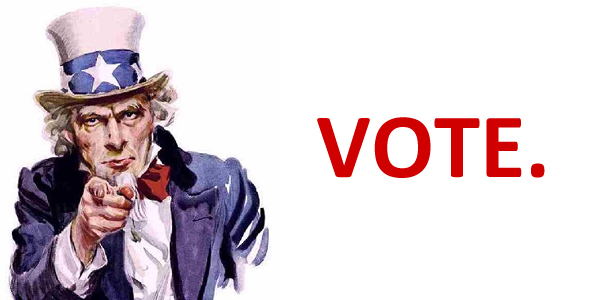 And please do not forget to click in your vote on the poll & post your vote before the opening bell on Monday!!! OK, so I'm going to try to get into a bit of a routine here with this new format of stock picking here at Stockaholics. 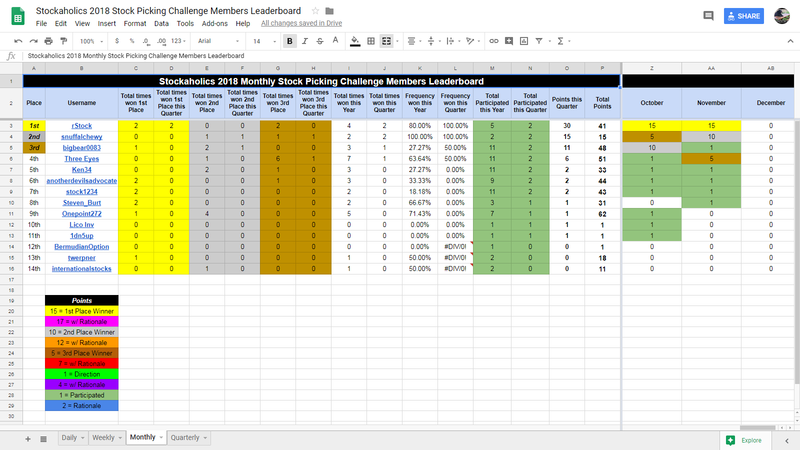 This time what I'm going to have everyone do is to just submit the Google Form down below with your monthly picks, and don't bother posting your picks on the thread, although you can still post it on the thread if you want to include rationale to get the extra points in the leaderboard. 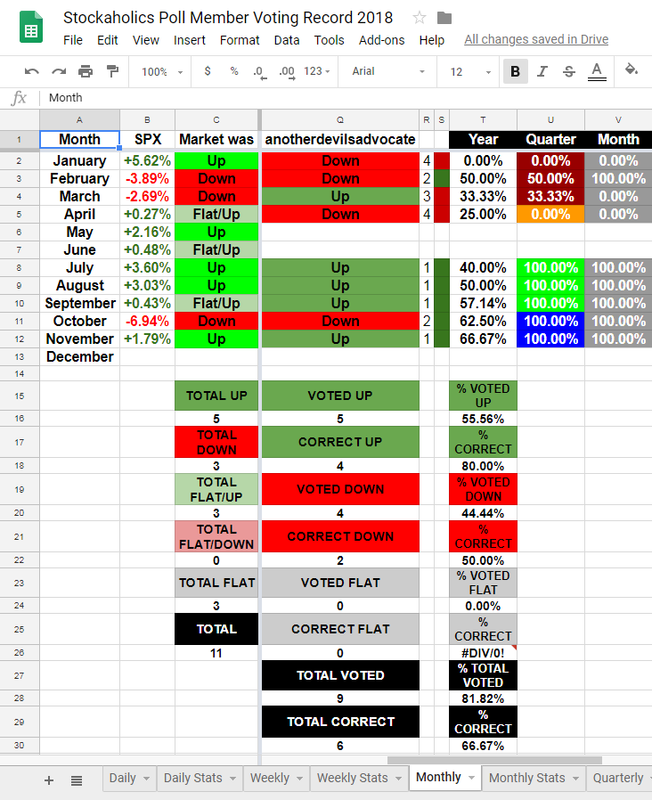 However, since there isn't a way to auto input monthly market direction votes into my member's voting record spreadsheet, all I'll just ask you guys to do is post your market direction vote on this thread. NOTE: If there should be any issues with the submitting of the form, or you find any other issues, please do post that in this thread! First, I will have you guys checking the Google Sheet before you submit the form, so you all know what picks have already been taken. Next, once you have taken a quick look at the sheet, then it's onto the form where you can make your picks! <-- click there to submit your monthly picks! haha, no worries. i got ya in. yeah, this new format is going to take some time getting used to for everyone. the reason i'm planning to do it this way in 2019 and beyond is to take some of the workload off my shoulders, since admittedly running this has become a little cumbersome for me of late. the nice thing about this new google form format is that it's all automated and automatically inputs members picks right into my google sheet so i don't have to do them manually anymore. definitely is going to be a time saver for me next year. hmm, i see him in there. are you sure you are viewing the correct sheet?